Struggling Pininfarina has sold 1 of its 3 plants as part of its restructuring. TURIN – Beijing Automotive Industry Holding Corp. and India's Mahindra & Mahindra Ltd. head a list of as many as 10 carmakers and private equity firms interested in taking over design and engineering specialist Pininfarina S.p.A., according to Italian media reports. Other companies mentioned in the reports were Brilliance China Automotive Holdings Ltd., which is BMW AG's Chinese joint venture partner, China's Anhui Jianghuai Automobile Co. and India's Bajaj Auto Ltd.
Canadian-Austrian parts supplier Magna International Inc. also is interested in the money-losing Italian company, sources with direct knowledge of the matter told Automotive News Europe last week. Pininfarina declined comment when contacted today. Following the Nov. 17 publication of the ANE story about Magna's interest in the company, Pininfarina issued a release to say it is “collecting expressions of interest from potential buyers. Whenever any negotiations have reached a stage where it needs to be communicated, the company will do with the usual transparency." Magna also is not talking. “Our official statement remains the same as last week, that we do not comment on this topic,” a Magna Europe spokesman wrote in an e-mail reply to questions today. 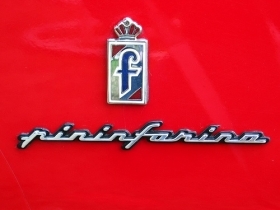 Pininfarina is known for building legendary sport cars such as the 1966 Alfa Romeo Spider and the 1984 Ferrari Testarossa. But the company has struggled financially for years, losing a combined 358 million euros from 2007 to 2009.